The Ofer Brothers ships that docked in Iran, a basis for US sanctions, were carrying IDF choppers for secret missions, the London Times reports. The Ofer Brothers ships that reportedly docked in Iran, a basis for U.S. sanctions imposed on their firm, actually were carrying IDF choppers for secret missions that may have included surveillance n Iran’s nuclear sites, the London Times reports. The ships were allegedly owned by the Ofer Brothers, whose senior member Sammy Ofer died on Friday at the age of 89 and is being buried in Israel Sunday afternoon. He served in the Haganah movement during the British Mandate. If the Times’ report by Richard Silverstein is true, it would be a severe embarrassment for the U.S. State Department as well as Israeli media and politicians who may have prejudged the Ofer Brothers unfairly. The report also may explain why a Knesset committee suddenly suspended without explanation a special session that was called to investigate the allegations against the Ofer Brothers. 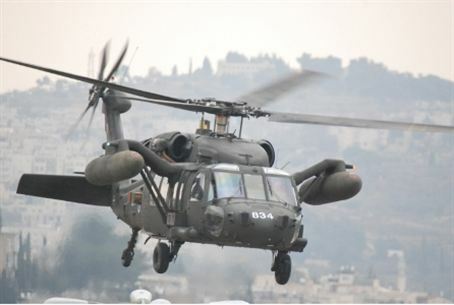 Silverstein wrote that the ships that allegedly docked in Iranian ports may have concealed helicopters in special containers and that Israeli may have used the choppers in secret surveillance on Iran’s nuclear sites. The original allegations were prompted by State Department sanctions on an Ofer Brothers-linked company that allegedly sold an oil tanker to an Iranian firm, in violation of American sanctions. A subsequent report in Israeli media charged that another subsidiary of the Ofer Brothers empire docked oil tankers several times at Iranian ports between 2004 and 2010.